Behaviour Therapy (BT) has its roots in the 1950s and out of this grew Cognitive Behavioural Therapy (CBT) developed by American psychiatrist Professor Aaron Beck in the early 1960s. CBT has become one of the most widely researched psychotherapies (Empirically Supported Therapies – EST) worldwide and is endorsed by the National Institute for Health and Care Excellence (NICE) as a treatment method of choice for depression, anxiety, PTSD, OCD, Bi-Polar disorder, eating disorders, body dysmorphic disorder and many other mental and physical health problems. 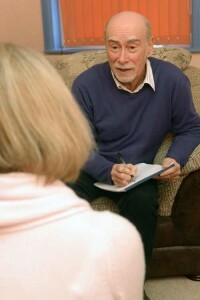 In recent years CBT has expanded its focus to include a so-called third wave of psychotherapies which includes Schema Therapy (ST), Mindfulness-Based Cognitive Therapy (MBCT), Compassion-Focused Psychotherapy, Dialectical Behaviour Therapy (DBT), Metacognitive Therapy (MCT), Acceptance and Commitment Therapy (ACT), Behavioural Activation, Cognitive Behavioural Analysis System of Psychotherapy (CBASP) and others. These approaches seek to blend traditional CBT principles with concepts new to behavioural psychotherapies such as mindfulness, acceptance, compassion, metacognition, spirituality and the therapeutic relationship in order to help the more complex client problems. CBT is a talking therapy and, unlike some other therapies, it focuses on current issues with the aim of empowering you to take control of your problems and to manage life in a healthy adaptive way. The cognitive model proposes that people’s thoughts and feelings are not determined by a situation, but by their interpretation and construction of the situation (the core beliefs that you may hold). Recognising this discrepancy, CBT seeks to modify the unhelpful core beliefs that result in automatic thoughts which trigger emotion in any given situation. Automatic thoughts are thoughts that pop up in the mind unbidden and contribute to unhappy or unpleasant feelings. These thoughts can come in different forms such as words, images, dreams and daydreams. Few people are fully aware of their automatic thoughts and can benefit from learning to notice what is going through their minds when they experience an emotional shift or a strong emotion. CBT teaches you to identify, evaluate and respond to your unhelpful thoughts and beliefs. CBT employs a number of different strategies including psycho-education and behavioural experiments to empower you to try out things differently, breaking problems down into smaller components. It enhances awareness of your way of thinking, acting, sensing and feeling, builds positive self-regard and provides practical ways to improve the way you deal with everyday life. The focus of CBT tends to be more present rather than past-oriented, but past experiences may be explored to enable you to understand the origin of some of your current unhelpful behaviours and thoughts, helping you to make sense of your problems and empowering you to change. Traditional CBT tends to be aimed at symptom reduction while the third wave CBT approaches take a broader approach. They place emphasis on empowerment and seek to help you develop skills aimed at increasing awareness of your inner processes as well as improving the quality and quantity of activity that provides you with meaning in your life. Depending on the orientation and experience of your therapist, these approaches might incorporate principles from other psychotherapies such as Developmental and Interpersonal Psychotherapy, Attachment-based Therapy, Gestalt Therapy, Transpersonal and Depth Psychology, or eastern spiritual practices, like meditation and yoga. These open up treatment possibilities for more in-depth and complex problems such as chronic depression or generalised anxiety disorder, childhood abuse and trauma and complex personality disorders. Your therapist might use mindfulness to help you become more aware of and connected to yourself and others around you. Third wave CBT seeks to help you develop a different relationship to your inner world of experiences which may enable you to decrease your internal resistance to aspects you don’t like about yourself. This can help you create a more peaceful inner state and acceptance of yourself. It also helps you become more compassionate with yourself and others. CBT as it is practised at The Oxford Development Centre starts with a comprehensive assessment of your problems which begins the process of therapy. Frequently, when a person is suffering, they may feel a whole array of uncomfortable emotions which they don’t understand and which they feel overwhelmed by. The assessment process, which is usually two hours in length and can last more than one session, helps to clarify and make sense of what might be going on for you. It involves a very collaborative way of exploring in detail what might be causing your problems, what the consequences of your problems are and what is maintaining them. Your therapist will work with you to explore your problems and examine how they affect your thoughts, physical feelings and actions. The assessment seeks to find out about your life history and circumstances, your experiences, your skills and emotional resources. This information will enable your therapist to formulate an individualised treatment plan specific to your circumstances and problems. Your treatment plan might involve working in a more traditional CBT focused way or it might bring in approaches from the newer third wave psychotherapies. Your therapist will be able to give you an indication as to whether your problems might be helped by a relatively short course of CBT therapy (12 – 15 sessions) or whether it will need to be more medium (30 – 40 sessions) or long-term work (60+ sessions). This will depend on the complexity, chronicity and depth of your problems. When you have experienced childhood trauma, CBT therapy usually takes much longer as it involves working with more deep-rooted difficulties requiring work to be gently paced according to your specific needs. For all CBT therapy, it is important that you feel safe with your therapist and in your therapeutic relationship with them. 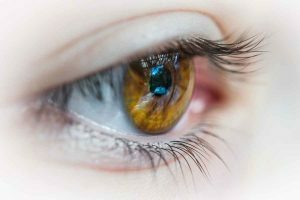 After identifying aspects which are unhelpful or unrealistic, your therapist will help you explore ways of changing these negative thoughts and behaviours and will help you put your new observations into practice in your day-to-day life. These skills can help you manage or reduce your symptoms and prevent them having a negative impact on your life in the future. A specialised form of CBT has been developed to help people who have experienced trauma and may be suffering from Posttraumatic Stress Disorder (PTSD). 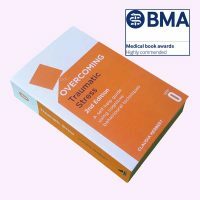 Trauma-focused CBT includes the use of grounding and stabilisation techniques to help a person develop inner resources before the emotional and sensory impact of a trauma is explored in more depth. It may include working with memories and belief systems in creative ways to minimise the negative impact of a traumatic experience and usually entails some form of controlled reliving once you feel secure and safe enough to be able to do so. Work with behaviour can also be very helpful in transforming the cycle of avoidance and allowing a person to return to normal functioning in their life. All therapy at The Oxford Development Centre is individually tailored to each person’s needs and CBT may be used by your therapist in combination with other therapeutic approaches if this seems helpful and appropriate for you.